Perhaps too much gingerbread made me sick? 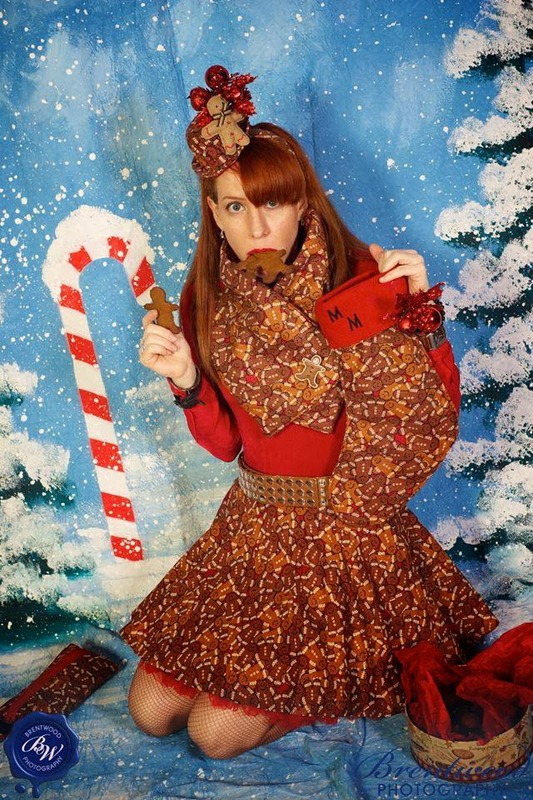 Just wanted to wish everyone a Merry Christmas (and Happy Holidays to those who don't celebrate it.) I am celebrating the invention of DayQuil and Chloraseptic spray because I have the flu and apparently have given it as a gift to the rest of my family! Oh well, even as we sit around the table tonight and tomorrow coughing and blowing our noses, I am still glad that once a year we can come together to honor our family traditions and the love we have for each other. I hope that you and your family & friends are not only healthy but use this time to spend it not on expensive gifts but on the time you have together. Life is too short not to tell that person you love them even when they have Kleenex stuffed up their nose and resemble the Heat Miser from "The Year Without Santa Claus." Merry Christmas. Happy Hanukkah. Happy Kwanzaa. Happy anything else! 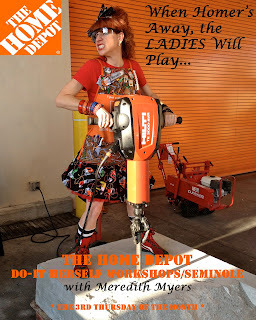 This month's Home Depot Do-It HERSELF workshop will be all about POWER TOOLS!!! We will use various power tools including a drill press, sander, and nail gun to then make easy birdhouse ornaments (bird not included.) 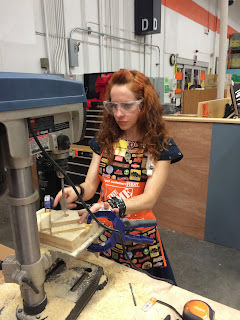 This will mostly be an active workshop of everybody trying out the power tools and assembling the pieces of the ornament so come ready to participate and once again, be artistic with paint! In order to prepare the art materials and food & beverage for everyone, please RSVP here (*making sure to sign up for the Seminole store for mine if you are local.) We will also have giveaways, refreshments, and plenty of time for you to ask our experts about any of your current home improvement projects or gift ideas. Remember, this is absolutely FREE!! And just a heads up that there will be no DIH workshop in December but we will be back on in January. Hope to see you there but if not, have a happier holiday...with POWER TOOLS!!! 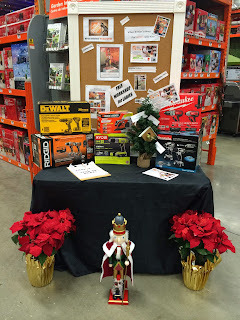 My holiday-themed DIH workshop display at the store. 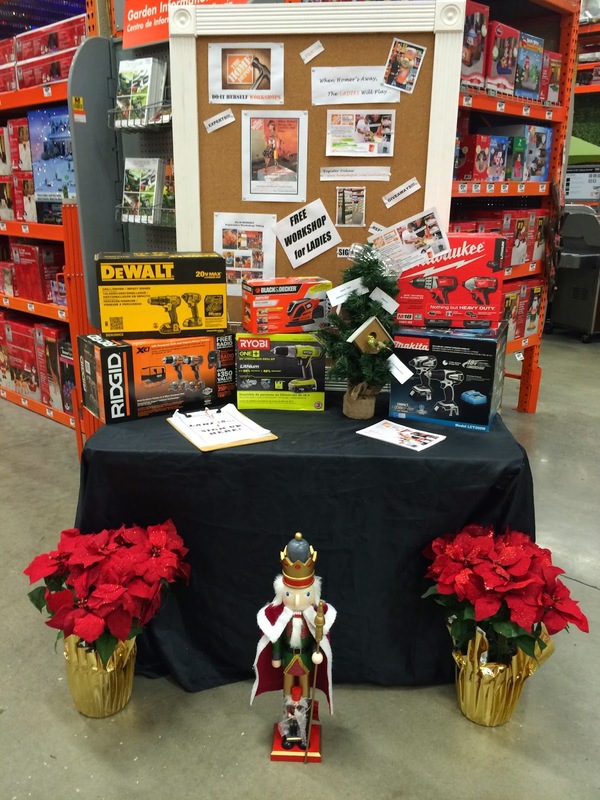 Power tools make great gifts...for EVERYONE! 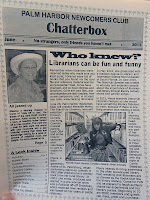 I am still an unemployed librarian! In one week, I will be going back to school (for yet another degree), so I'm having a BACK TO SCHOOL SALE to pay for tuition! 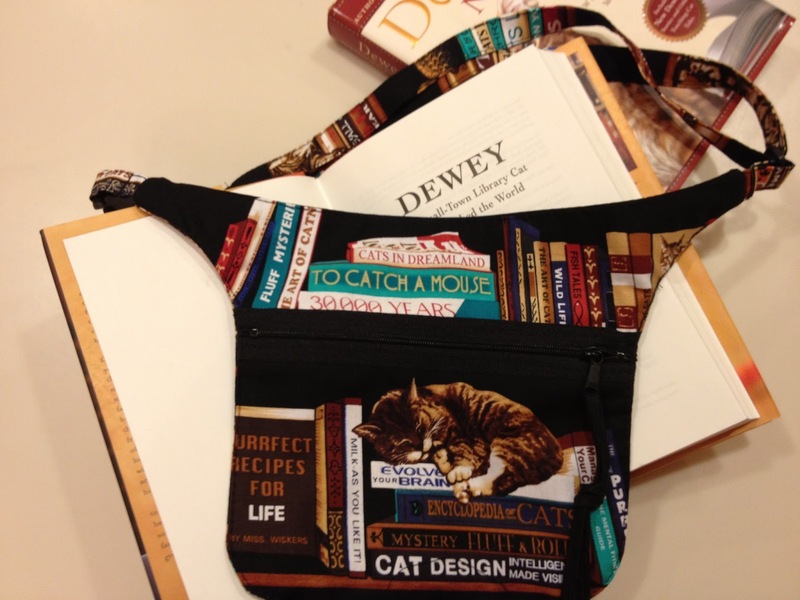 All literary bags marked down 25% or more & includes FREE SHIPPING! The First Ever Stand-Up Librarian Poem! OK, this is cool. Someone from my Palm Harbor event last month wrote a poem about me and it is so adorable that I had to share it. 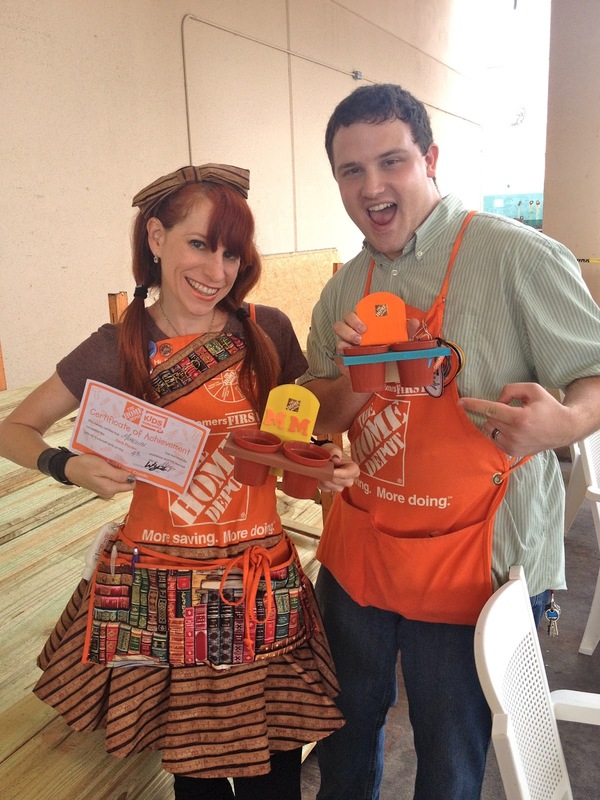 Thanks Claudia - that was incredibly thoughtful & creative!!!! 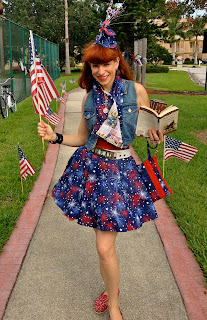 Not to quote an overplayed song by Katy Perry from 2010 but I just made an entire outfit out of fireworks fabric and it seemed an ideal time to play it. It’s weird how you can hear a song hundreds of times but never actually listen to what the lyrics are. Today, the words mentioned above caught my ear and seem to sum up the journey I have been on. As I mentioned and wrote about last year (to read that blog post, click here), July 4th is the anniversary of my eliminating alcohol from my life. It is crazy to think that it has been two whole years without a margarita or glass of Pinot Noir but in truth, it has been one of the easiest things in the world for me. 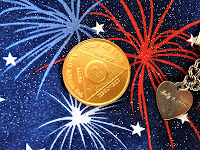 It really is true that “when it’s time, you’ll know” because I really don’t think about it at all except when I look for change in my wallet and find the two-month recovery chip that I got from attending an AA meeting in 2004. I don’t really know why I hold on to the chip because in actuality it represents failure. Now as I look at the big 2 stamped on the gold coin, I am reminded that two-months used to be all I could ever commit to before getting extremely bored. Jobs, relationships, gym memberships, diets, you name it - so perhaps my problem was never with alcohol, it was in being bored with everything else! On July 4, 2007 that all I changed when I met a person that I wanted to commit the rest of my life to, which resulted in me stupidly putting his dreams before my own. Sadly, he ended up only wanting to devote a year and a half of his life to me. One of the last things he gave me was a sterling silver heart pendant with our initials on one side and that July 4th date on the other. While I wore the broken heart he gave me for years, I never once wore the pendant. Two years ago, I intentionally chose July 4th as the date to quit drinking so I could prove to myself that I was worth committing to even if nobody else was willing to. As I look back at that failed relationship and all of the other things in my life that didn’t work out, I now know the important lesson that when you commit to the health and well being of yourself first, all of the other things will soon follow. In addition to having an incredible year of over seventeen performances as the Stand-Up Librarian, my literary purses and headbands are still selling well, and I have a part-time job that offers me health benefits…for the first time in five years!!! Did I mention that I am also a volunteer librarian at one of the most eccentric libraries on the planet? Almost forgot to mention that I am finally a member of a gym…and actually go! Oh, life is pretty good when you “ignite the light” and while Prince Charming has yet to ride up in his bookmobile, the designer in me thinks that tarnished heart pendant could easily be made into something far more fabulous! 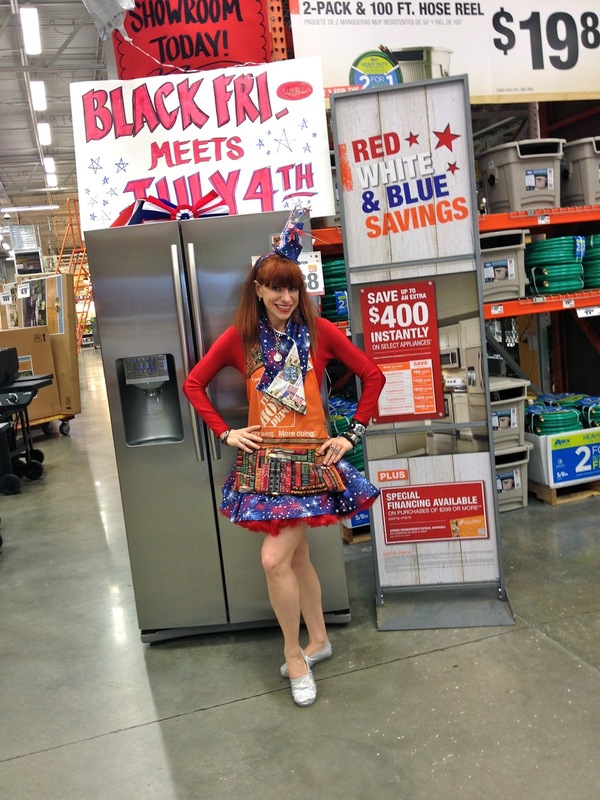 that pinwheel on my hat is really spinning! that I have since overcome. 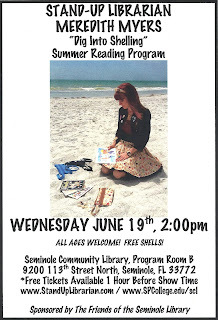 My first-ever children's program to kick-off Summer Reading at the Seminole Community Library on June 19th was a hit! I had spent over a month developing the seashell program from scratch, incorporating my own photographs and videos taken over the last year on my beach. With most kids in the Tampa Bay area spending the summer at the beach, I hoped to educate them about the seashells they would find while also teaching them that live shells (with the animals still inside) should probably be thrown back to live another day. The designer in me also shared ideas for how to use broken shells in arts & crafts, and of course, just like my adult programs, I performed a parody song honoring seashells called "SHELLabration," where I play an Australian Trumpet shell (which is quite similar to the French Horn I played for 10 years!) To see some footage from the program, click here. While I'm sure the kids enjoyed performing the song with me at the end and learning about all of these shells, I know the free shells I gave out was their favorite part of the whole program. I want to thank the St. Petersburg Shell Club for providing some of those shells (I also gave out ones I had collected as well), in addition to providing most of the giant shells showcased on the display table. As a member of the Board of Directors, I encourage anybody interested in learning more about seashells to come to our meetings when we start up again in September. For more information, click here. Thanks again to Jill Storm and the Friends of the Seminole Library for having me. Seashells by the Seashore for the kids. & dead shells found on our local beaches. The next day, I was back to performing for adults where I was the special guest for the Palm Harbor Newcomers Club. On arrival, I instantly noticed that my favorite book The Alchemist by Paulo Coelho was the centerpiece of each table and after commenting about the odds of that happening, I was told they did that on purpose. I almost shed a tear right there I was so touched. Nothing brings me greater joy than sharing my love of reading. 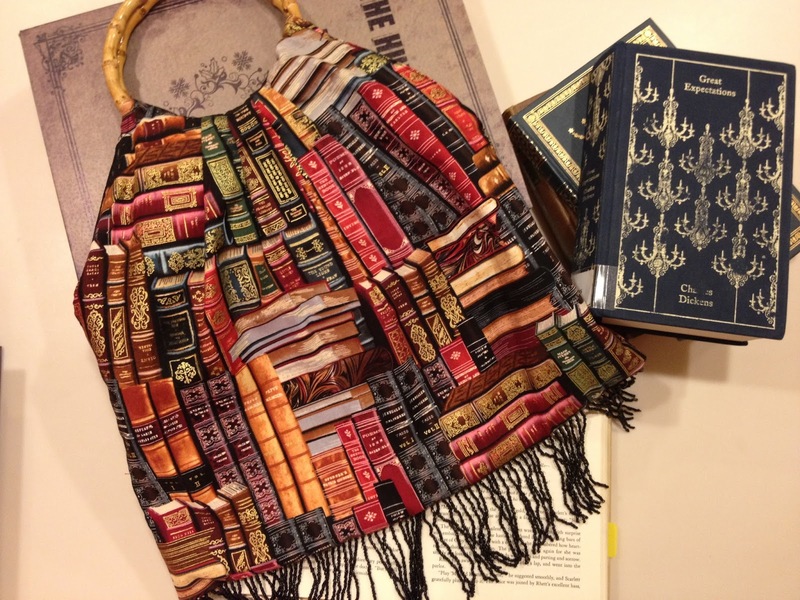 I was treated so kindly by these incredible women as they purchased my literary purses or simply offered encouraging words like not to give up or that libraries need more librarians like me. 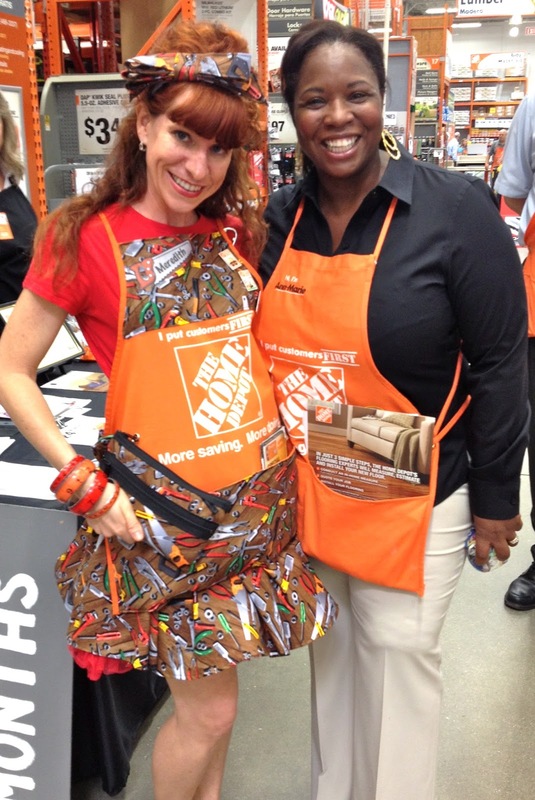 I want to thank Barb Griffin for reaching out to me and inviting me to perform. 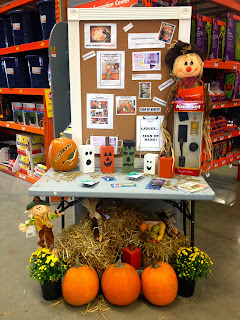 was the centerpiece of each table - so cool! and yes, we can be fun and funny! 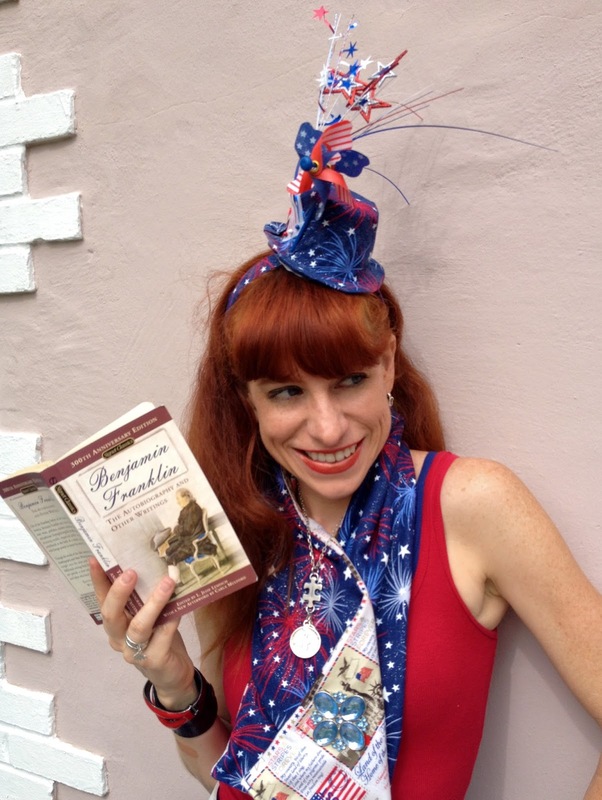 Just a couple of "Material Girls"
"Dig Into SHELLING" Summer Reading Program: June 19th at 2pm! 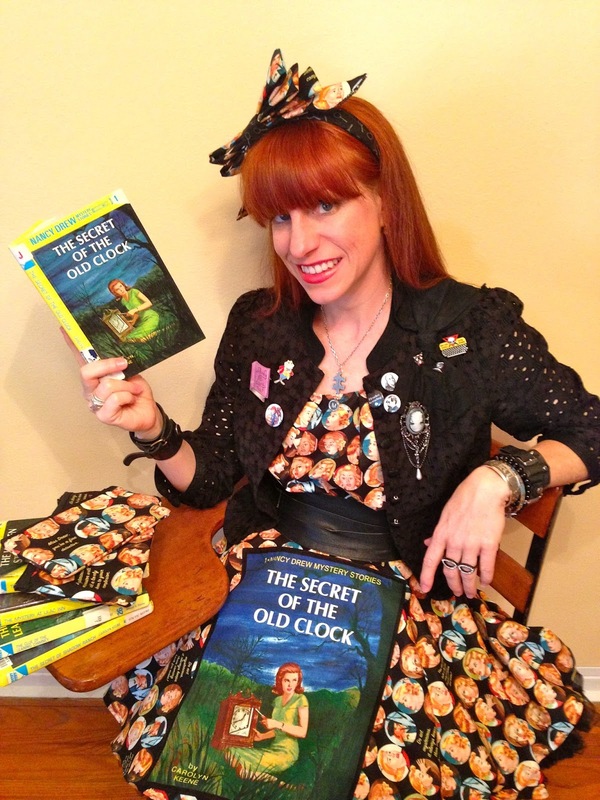 I am so excited that one week from today I will be doing my very first children's program at the Seminole Community Library to kick-off Summer Reading! After such an incredible year of touring libraries and book stores performing for mostly adult library patrons and staff, (where I heard many times that I should think about developing a kids program), I am now happy to present "Dig Into Shelling," a children's program devoted entirely to my other passion - seashells! 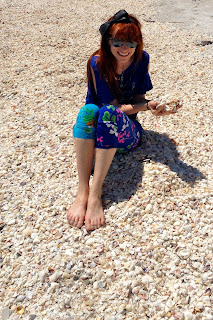 I've talked many times about being a member of the St. Petersburg Shell Club (of which I am now also on the Board of Directors), so shelling seemed an ideal topic to share that would incorporate my knowledge and love for seashells, especially since most kids this summer (when not at the library) are probably at the beach! And just like my adult programs, this event will include a variety of educational entertainment from reading and audience participation to show and tell, and yes, a very special shell song & dance! Did I mention I am giving out FREE shells!?! 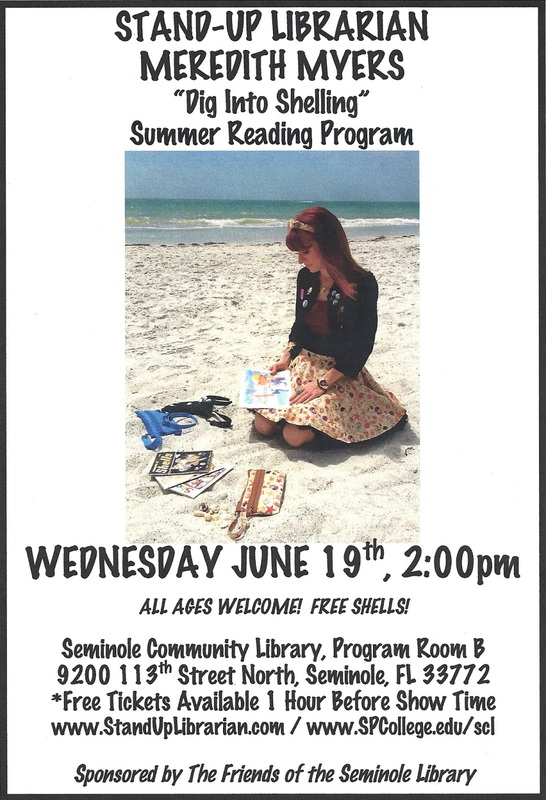 I want to encourage any parents in the Tampa Bay area to bring their kids to the Seminole Community Library on Wednesday, June 19th at 2pm to join in on the fun. Due to the popularity of the summer programs, (and the limited space available), free admission tickets will be distributed one hour prior to showtime at the entrance to the Program Room B. The library will not be able to accommodate large groups from local day cares, summer camps, etc. due to fire code restrictions. The Seminole Community Library at St. Petersburg College, Seminole Campus is located at 9200 113th Street North, Seminole, FL 33772. For more information, visit www.spcollege.edu/SCL or call the Youth Services Department at 727-394-6913. A live Florida Fighting Conch Shell. 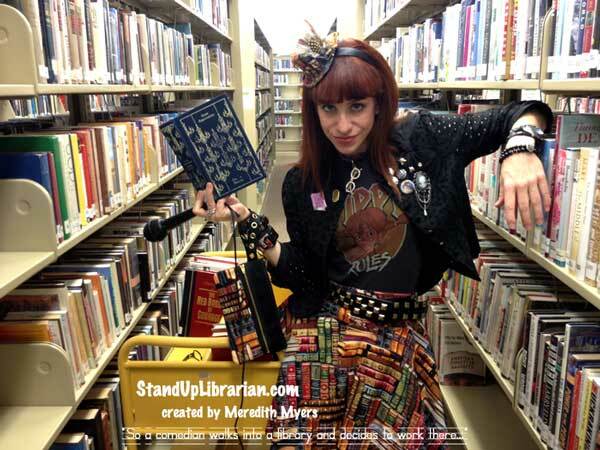 Happy 3rd Anniversary Stand-Up Librarian! 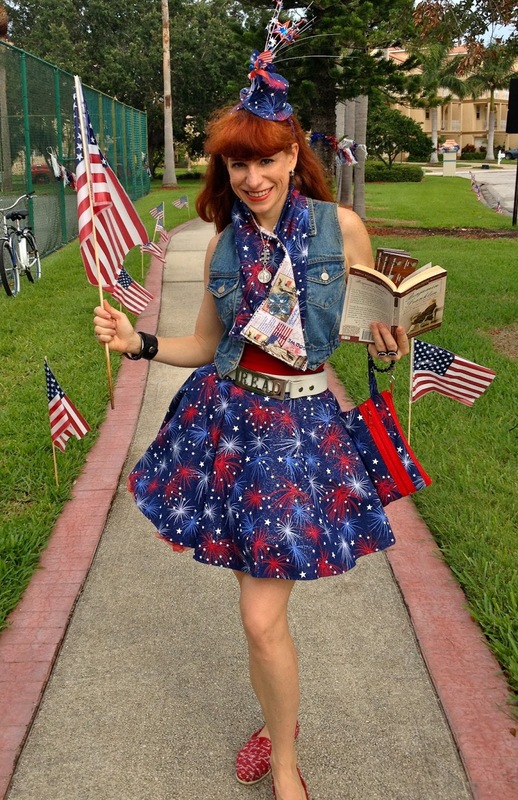 Wow, it is almost 11pm and I have yet to acknowledge that today is the 3rd Anniversary of creating Stand-Up Librarian and StandUpLibrarian.com! I would say that time flies but it really doesn't in this case as I am completely aware of how long and challenging the past three years have been. Of course, I am also absolutely astounded and amazed at all of the fun I have had and the dreams that have been realized - especially in just the last year! 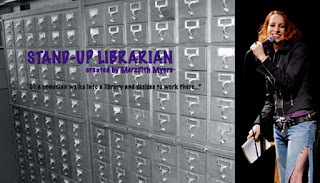 So many of the things I have accomplished I never once imagined when I first decided to mash up the words "stand-up comic" with "librarian" to create Stand-Up Librarian after graduating with my Masters degree in Library & Information Sciences in 2010. 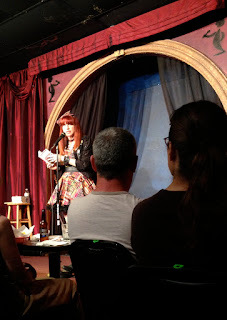 Initially, I thought I would write some funny essays online about my adventures in librarianship and maybe if I got the nerve, try performing stand-up comedy again but this time not curse or put people down. And maybe if I was lucky, someone out there would come to my blog after receiving my resume and see just how passionate I was about libraries and hire me as a librarian! So, two out of the three happened. 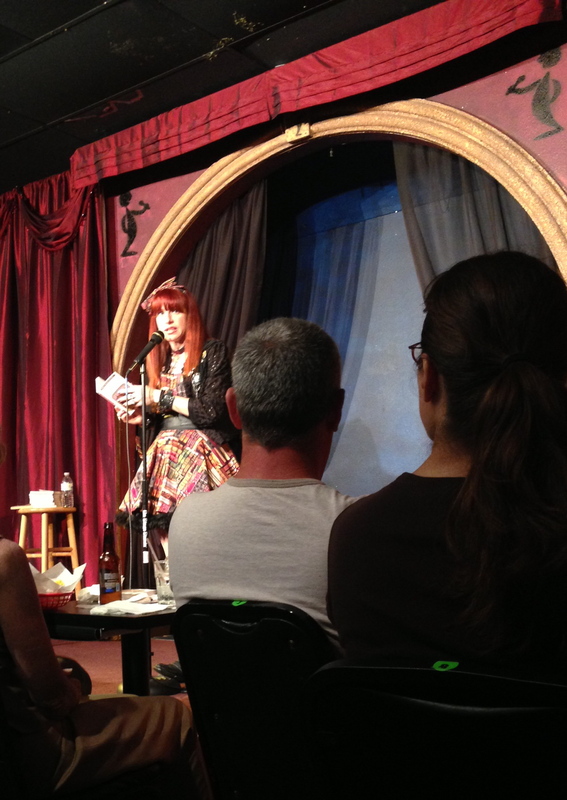 Mostly because writing and performing were within my control if I just faced my fears. While I have yet to be hired as a "librarian," I have instead been hired for shows & programs as the Stand-Up Librarian, so in a way, that is just as cool! Plus I look at how much I have learned over the last three years just by simply trying things that scared me to death or thought I could never do again. I will save most of those adventures for the book I am writing, but thanks to creating Stand-Up Librarian, I have finally become the person I always wanted to be: a person that can keep a job! Seriously, this is the longest job I have ever had and it continues to make me happy, while challenging me to not only be a better Stand-Up Librarian but a better person. Two years ago I also made the decision to quit drinking, which as a result has made me much stronger and less stupid. Regardless of where I go from here, I will always be proudest of that. Thanks to each and every person I have encountered on this journey. Some were mean, most were supportive, but ALL have inspired me in one way or another. 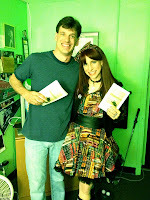 The launch of Stand-Up Librarian on June, 1, 2010 looked like this. A card catalog & one of my stand-up comedy pics from 2007. Too dark! Stand-Up Librarian in 2011 - which is probably my favorite picture. Notice the book fabric tied around my waist? It would later become my very first book skirt! With my move back to FL in 2012, everything changed...for the better. I got a new hairstyle & started Stand-Up Librarian Designs! 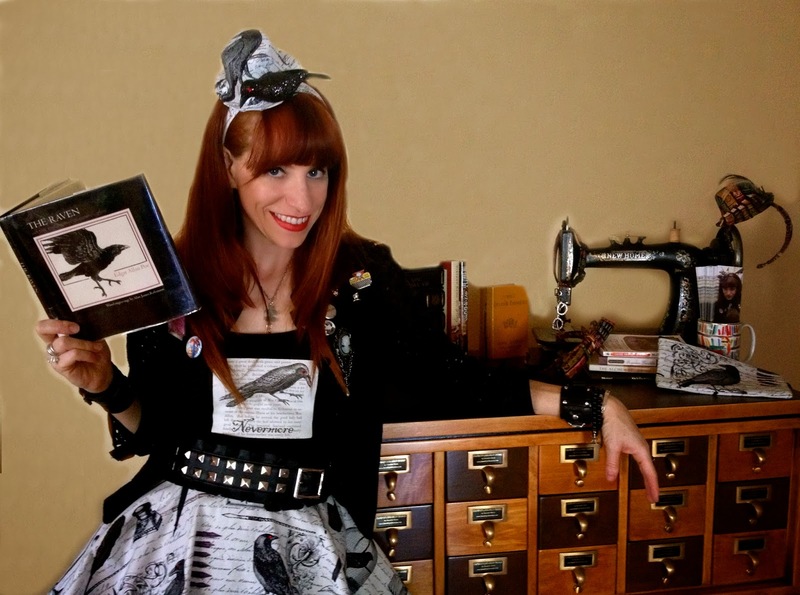 perform regularly, and finally get to pose next to my very own card catalog! I can't believe it is already May 6th! It has been a busy couple of weeks preparing and performing shows in a variety of different formats, which the artist in me truly enjoyed not only because of the challenges I faced as a performer but the lessons I learned as a result of the process. On Tuesday, April 23rd, I was an actor in an Old Time Radio Show play that enabled me to use a variety of character voices that I don't usually get a chance to use in my library shows. I was reminded of how much I enjoy not being me. It was also fun not to be in charge of the production. Or the PR for the show. 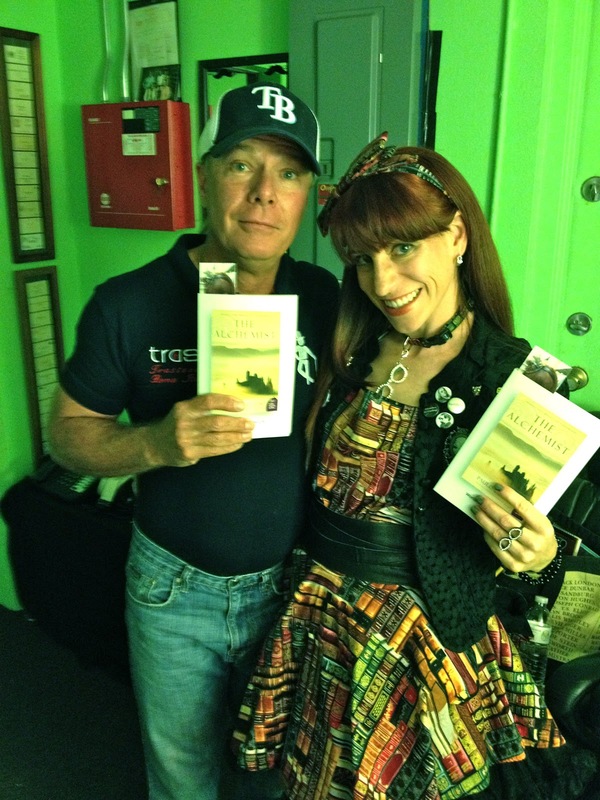 I didn't even have to memorize the script since it was a radio show performed live on stage! All I was responsible for was showing up and making sure the four characters I was playing would be entertaining for the audience. Plus I finally got a chance to wear the Typewriter-print outfit I had made a few months ago since we didn't have costumes. Not only did I make some new friends in my fellow actors, I had a blast just being a member of the cast! 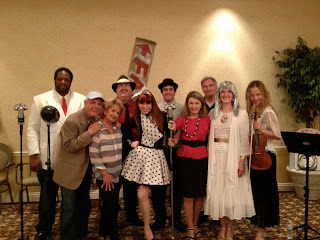 The cast of Fragile Fate, an Old Time Radio-style play. 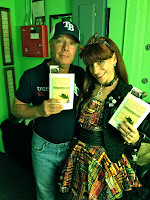 As I have already mentioned in previous posts, the next night, I performed at McCurdy's Comedy Club down in Sarasota in honor of World Book Night. This was the performance of the week I was most nervous about. I hadn't done a comedy club in over a year and it was also somewhat of an audition since the owner had never seen me before. 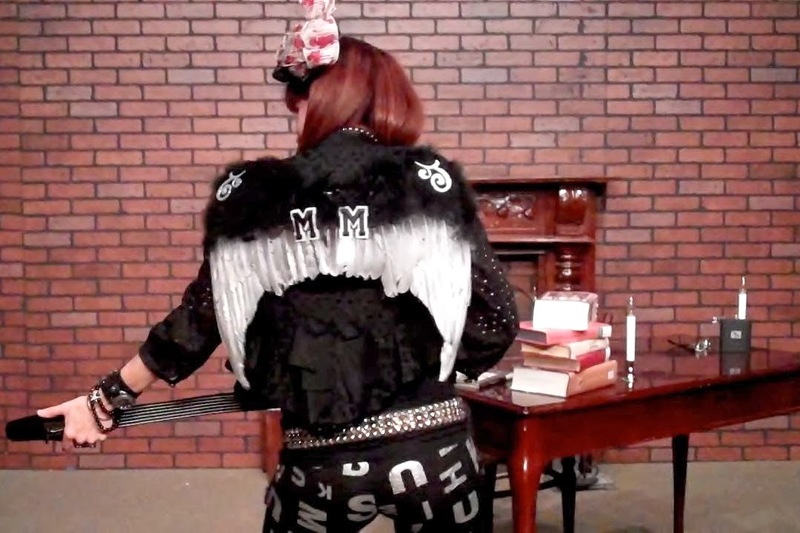 I wanted to make a good impression so I could come back for future shows. While I only had to do 12 - 15 minutes (which seems like nothing compared to my hour-long set at my library events), it was the pressure to be instantly funny telling literary jokes to a non-reading crowd that scared me. What if they didn't laugh? Or worse yet, shush me?! But the audience ended up being so supportive! I also got some great advice from club owner Les McCurdy on how to better my act for the clubs, plus an open invitation to return to McCurdy's so I could continue to develop my act. I learned that even with my years of experience in performing, there is always more to learn if you are open to hearing it. On Friday, April 26th, I was back in my comfort zone doing one of my library events performing for the Leesburg Public Library staff. On arrival, I was instantly approached by a group of friendly librarians on how excited they were to have me there. 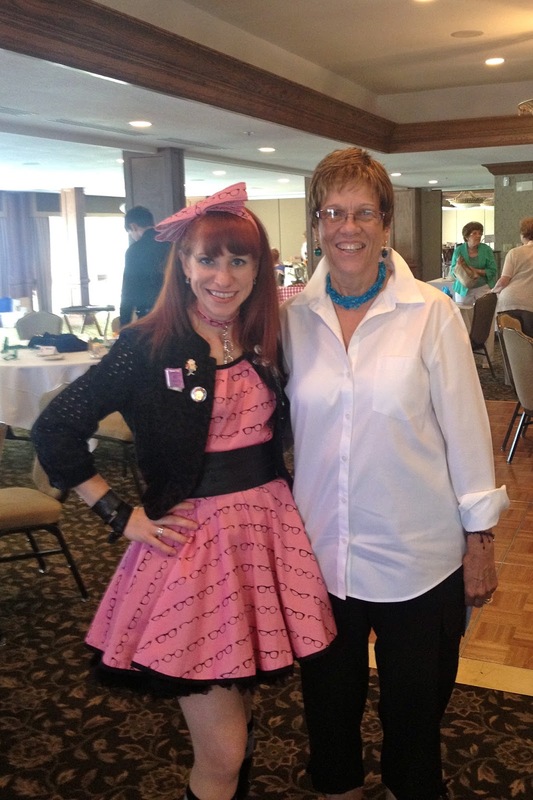 One in particular I had met the year before when I performed at the Florida Library Conference where she had been one of the first people to buy one of my purses. I later learned she also recommended me for this event - a prime example of how just one librarian can make a difference in employing another. Thank you Alicisa! 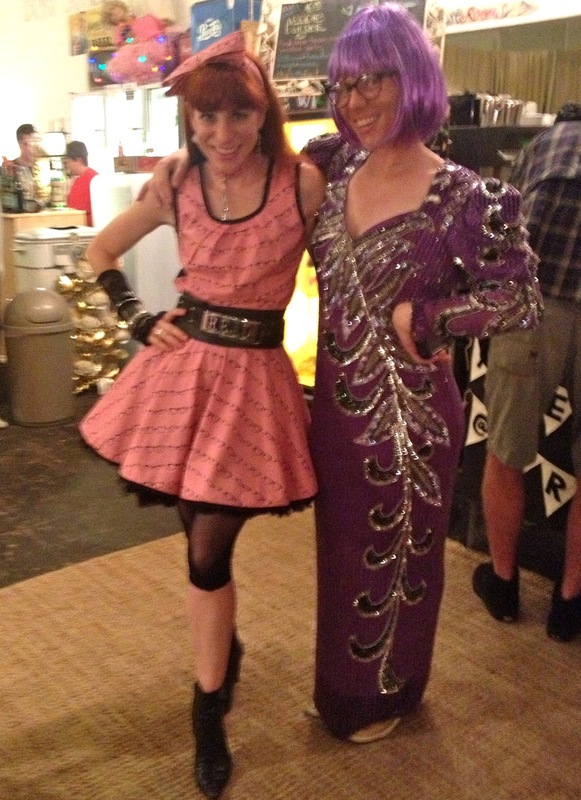 This was also the first library event where I kind of hung out with the staff before I performed. As a result of that personal time with my audience, I was more comfortable and less nervous which I think made me funnier and certainly better able to interact with them during the show. 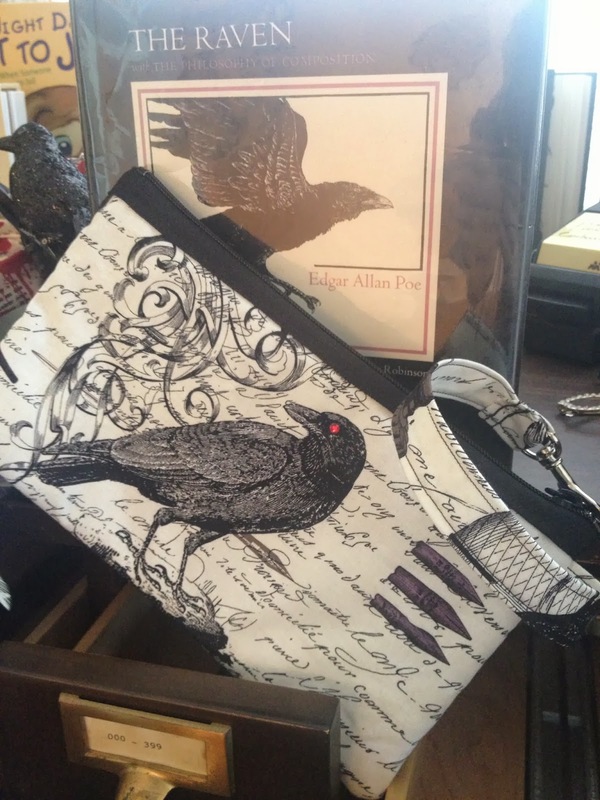 They also showed their support in purchasing some of my literary purses and going on my Facebook page and telling me how much they enjoyed themselves. 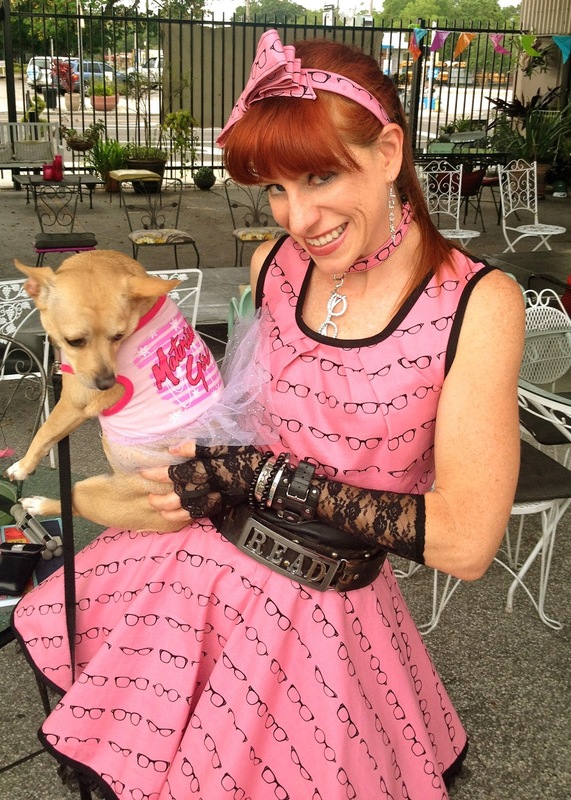 I don't know if it was my brand-new pink Librarian outfit that I wore or the fact that I was 100% myself at that show, but I felt on top of the world! 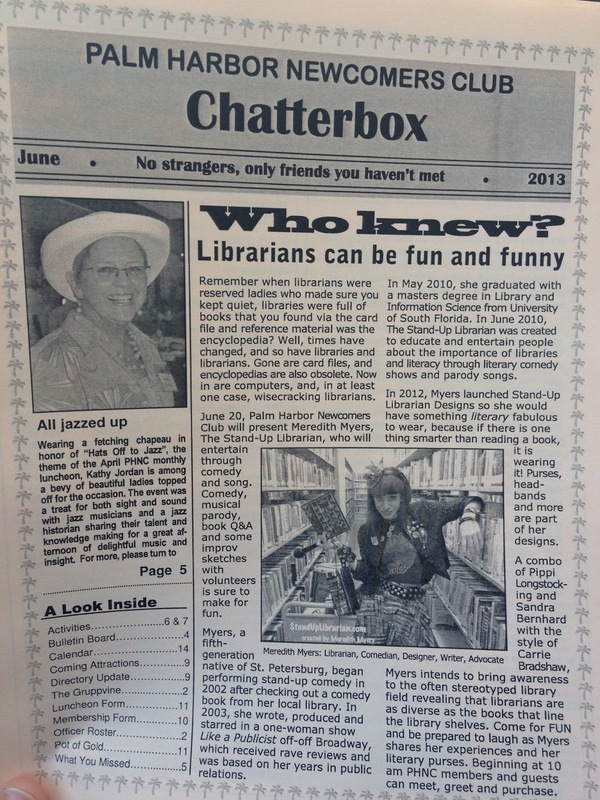 Like I wasn't just performing for librarians, but entertaining friends. 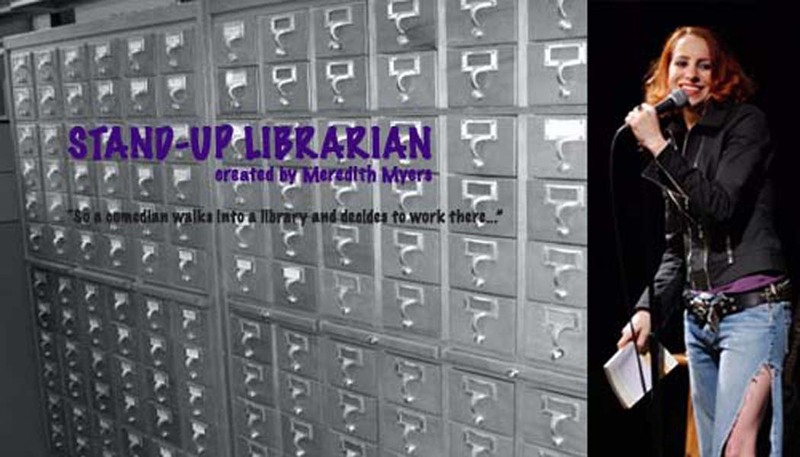 Thank you Leesburg Library Staff for not only validating my work as the Stand-Up Librarian but for making unemployed librarian Meredith Myers feel like a member of your staff! The Stand-Up Librarian with the Leesburg Library staff! And finally, on Saturday, April 27th, I participated in ARTpool Gallery's Crafty Fest. 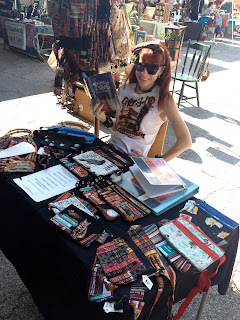 While I have been making and selling my literary purses for over a year at my shows and my Etsy shop, I had yet to do any type of craft fair so I thought it was about time I tried it out since I am an artist on residence there and could get a free space. Thank God it was free because I did not sell a single thing in five hours of sitting in the blazing sun! Now I don't know if was the lack of people in attendance at this thing or that the ones who came didn't buy a single thing from any of the artists making their own stuff, but soon began to dislike being a craft fair vendor! It's like being homeless and begging for money that you already spent. Seriously, people walk right past your booth without even an acknowledgement of you or your homemade items. Or if you are lucky, they stop and touch everything on the table making the once organized display now a heap of colored objects and then walk away. Once in awhile, someone will tell you how much they love everything and must have it but then walk to the booth where the girl is selling ripped-up Levi cutoff shorts and buy those instead. Oh well, so I learned that I still don't like working retail even when it is my own stuff. The one perk? Lots of reading! at ARTpool Gallery's Crafty Fest. I often talk about my troubles with letting go of my past and the person I once was or could have been today had I continued working as a publicist. Or I had focused all of my energy on being just a comedian or just an actor. 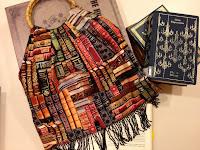 I also admit to imagining how different my life could have been if I had hired as a librarian right out of grad school! But then I stop myself. Life didn't happen that way for me. Instead I made a choice to listen to my heart - which stupidly resulted in me trying to do all of it...at the same time! Exhausting? Yes. Regrets? Not a chance. 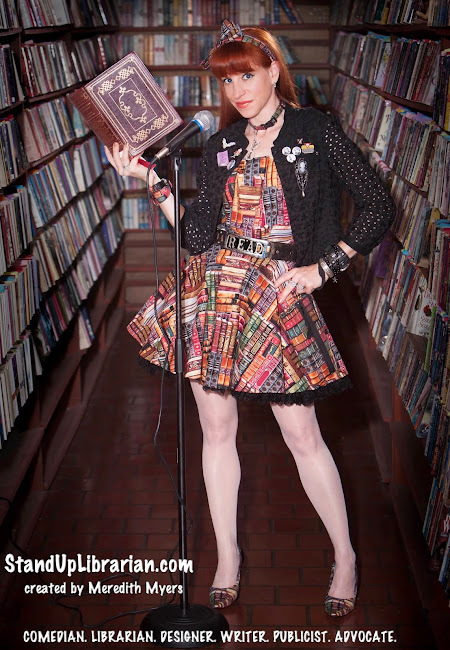 So after a week of playing a variety of different roles - actor, stand-up comic, Stand-Up Librarian, designer - I have finally learned the very important lesson that the role I created for myself - The Stand-Up Librarian - is the one that brings me the most joy (and surprisingly, also the most profits!) Like in my favorite book The Alchemist by Paulo Coelho that I gave out to the audience at McCurdy's for World Book Night, it is often through the long, difficult journey that you find your treasure...within yourself. 15 years ago in a Chili's. Create your own opportunities. For a direct link to the video, click here. 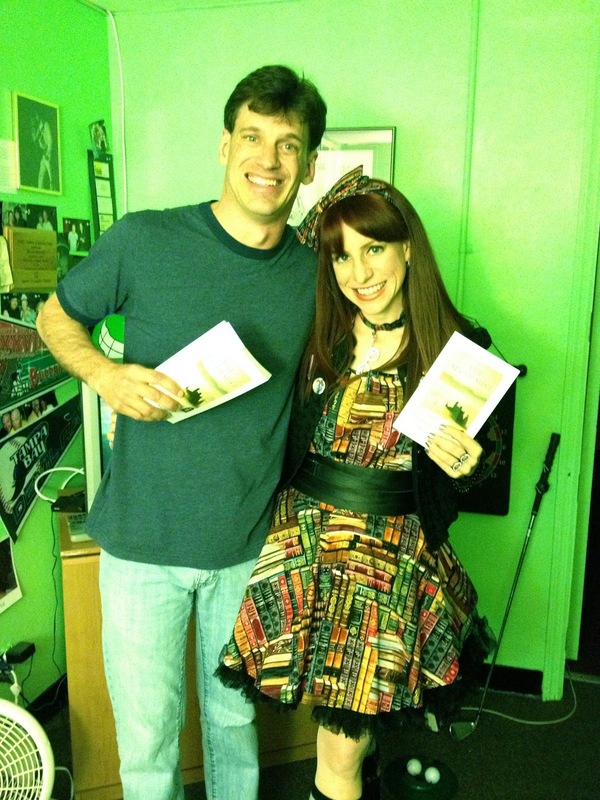 Thanks again to Les McCurdy and McCurdy's Comedy Club for having me out to perform last week on behalf of World Book Night to open for the incredibly energetic and hilarious Dale Jones! As the mission of World Book Night is to promote reading to light and non-readers, I thought it was the perfect time for me to leave the library and return to the comedy club to do my literary stand-up comedy and surprise the audience with free copies of my favorite book The Alchemist by Paulo Coelho. 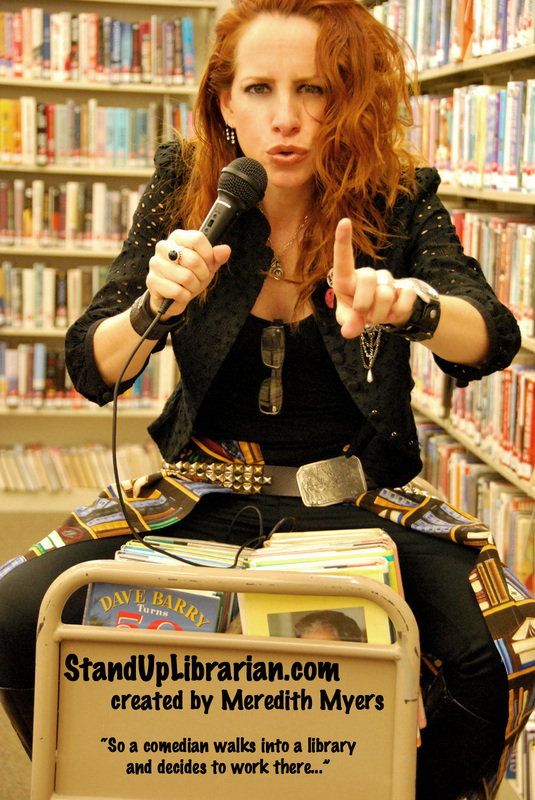 I can honestly say that I had more fun giving out the books to the audience than I did performing, which is yet another example that I will always be more librarian than comedian, however thanks to creating the phrase Stand-Up Librarian, I can always do both! After the show, I got a chance to hand out my bookmarks, take pictures, and talk one-on-one with members of the audience and it brought absolute joy to my heart to hear how much they loved seeing a real librarian have fun on stage with books and how grateful they were to receive their free copies...and not have to return them! As is my mission with Stand-Up Librarian, if something I said gets someone to use the library or pick up a book, I have done my job. 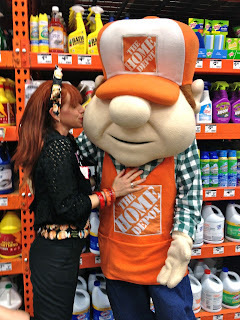 If they laugh or sing "Joyce Around" back to me, well that just means we had some fun too! of The Alchemist before the show! 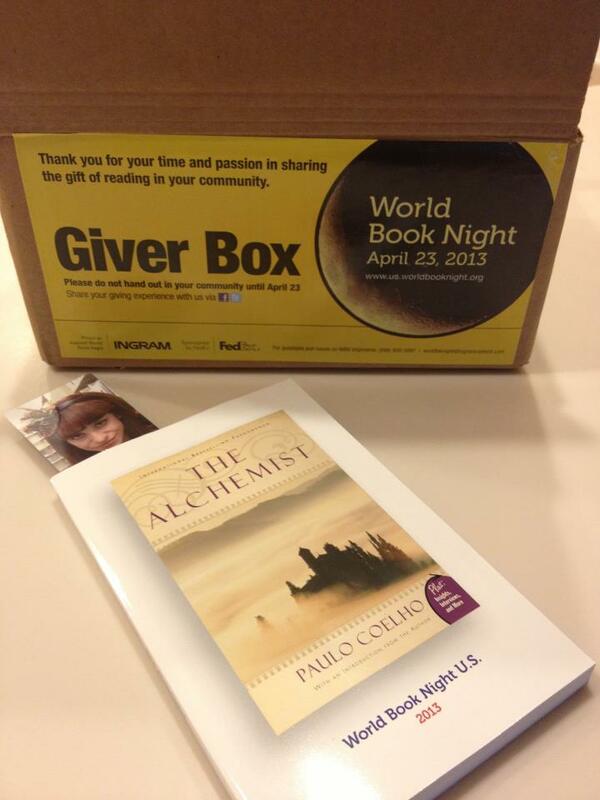 by Paulo Coelho to the audience.